The Co-Op claims and reimbursement process is too slow, cumbersome and time-consuming. Partners don’t have access to meaningful analytics to determine ROI. 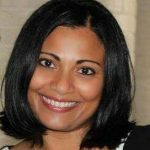 Partners find that managing vendors to execute Co-Op is too complicated. Partners don’t have a full understanding of the benefits of the Co-Op marketing programs Brands are offering. Understanding what’s holding your Partners back is crucial when you’re trying to re-engage them to invest in Co-Op. It’s also an opportunity to evaluate the next evolution of Co-Op, which offers innovative Instant Funding options and significant cost savings. Co-Op is difficult to get approved. It requires Partners to pay the full cost of advertising up front. It requires too much paperwork, including: requests, proof-of-performance, denials, re-submissions and approvals. It often takes about two months for Partners to receive reimbursement funds. SproutLoud has simplified and improved Co-Op Claims and Reimbursement by integrating Co-Op Funds Management on our SaaS Platform. Our Intelligent Funds Management software allows Brands to use Co-Op Claims and Reimbursement and save up to 50 percent on claims processing. 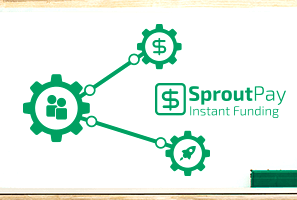 Brands can also opt for an upgrade to SproutPay Instant Funding. It eliminates the need for approvals. Partners no longer have to front 100 percent of the advertising costs. Partners don’t need to request reimbursement, because Brand funds are instantly applied to the cost. SproutPay eliminates the opportunity for fraud, because the Brand-compliant tactics and campaigns selected are automatically routed for execution. That means there’s no need for proof of performance. When you can’t connect the dots between tactics and the end goal — more traffic, leads and sales — you have no way of determining what’s working and what’s not. In a decentralized Channel Marketing Program, it’s next to impossible to measure success across hundreds or thousands of Partners, who are each using multiple local vendors for Brand marketing execution. That’s why 67 percent of Brands say they use historical adoption to guide Co-Op marketing investments. SproutLoud’s Co-Op Funds Management takes guesswork out of the equation. Whether Brands opt for our cost-saving Co-Op option or SproutPay Instant Funding, they have the same access to centralized campaign execution and in depth performance analytics on the SproutLoud Channel Marketing Automation Platform. Now, Brands can track performance of tactics for a single Partner or across their entire Partner network in real time. And better insight leads to smarter, data-driven investment decisions. From the Partner’s vantagepoint, Brand guidelines can be complicated, and it’s frustrating to have Co-Op submissions rejected and reimbursements delayed when a Partner doesn’t adhere to the Brand’s guidelines. Dealing with day-to-day vendor management is labor-intensive and time-consuming. Ensuring that you’re working with the best vendors, at a competitive rate, with the highest quality and fastest turnaround possible takes a lot of work. It involves constant vetting, monitoring and evaluating to acquire a degree of confidence in the vendors you entrust to execute your local marketing campaigns. The advantage of SproutLoud’s Co-Op Funds Management is that it seamlessly delivers the breadth and depth of software, support and services available through our Channel Marketing Automation Platform, with an integrated Marketing Service Provider (MSP) network of 40+ best-in-class MSPs. 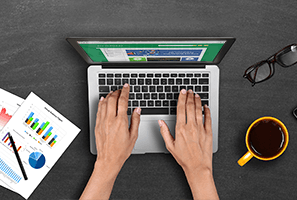 When it comes to vendor management, our Platform does the heavy lifting for you by handling ongoing vetting, monitoring and evaluation of vendors. This includes quarterly reviews to ensure vendors deliver amazing local marketing results for your Brand and your Partners. What Brands and their Partners want to see is results. 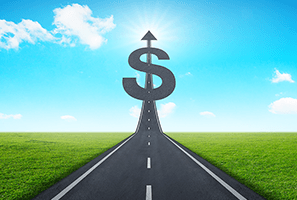 Partners can execute more campaigns because they have more dollars to spend. Better insight empowers Brands and their Partners to invest only in what works. 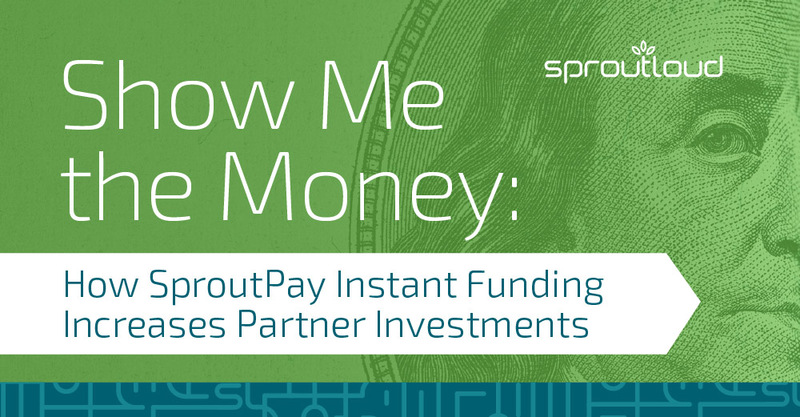 With SproutPay, funds are applied instantly without delay. With the obstacles swept aside, the path is clear. Partners will re-engage in local Brand marketing when they see the competitive advantage of the next evolution of Co-Op.